Irulen is a mage who wanders the land investigating mysteries for a price. Haunted by the consequences of a hidden past, he drowns his responsibilities with ale and trouble. When his contrived existence is shattered by a string of ritual killings, a deepening conspiracy drags him further into the realm of a ruthless, enigmatic villain. Compelled on a reluctant quest to fin Irulen is a mage who wanders the land investigating mysteries for a price. Haunted by the consequences of a hidden past, he drowns his responsibilities with ale and trouble. Compelled on a reluctant quest to find the truth behind recent events, Irulen and his raven companion, Max, are joined by an unlikely party. There is Farah, the innocent, teenage village girl; Kay, an alluring bounty hunter with a traumatic past; and Quinn, a massive berserker with survivor's guilt. Together, the party navigates a gritty world of magic and haunting intrigue. To ask other readers questions about Ravens in the Sky, please sign up. 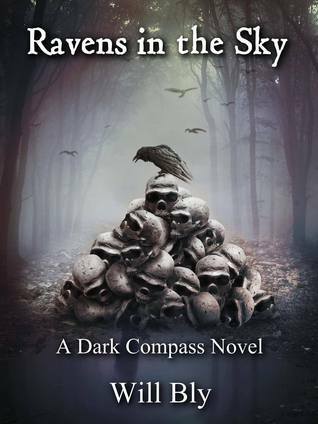 Ravens in the Sky is a very fun dark tale of mystery and adventure. It doesn't fall into the trap of unnecessary background and world building that drags down many fantasy novels - it grabs you and jumps right into the story and the characters. The characters are fantastic, interesting, well-developed and sympathetic in their own broken ways. The primary protagonist, Irulen the wizard detective is a haunted wanderer with a dark past, a sharp mind and a witty tongue - all great elements to a memor Ravens in the Sky is a very fun dark tale of mystery and adventure. It doesn't fall into the trap of unnecessary background and world building that drags down many fantasy novels - it grabs you and jumps right into the story and the characters. The characters are fantastic, interesting, well-developed and sympathetic in their own broken ways. The primary protagonist, Irulen the wizard detective is a haunted wanderer with a dark past, a sharp mind and a witty tongue - all great elements to a memorable hero/anti-hero. Those skills serve him well as we follow him through his various mysteries, which is another wonderful point to the story I truly enjoyed. Much of the time the book reads as a murder mystery, which is another genre I love and is a pleasant departure from the stereotypical "chosen hero goes a quest to save the world" motif. That's probably my biggest compliment to this book in fact; in many ways it doesn't read like a regular fantasy novel. Some of the tropes and trappings are there, sure, but the author isn't bogged down by them. The characters speak in a fairly modern speech pattern (though many of them are oddly obsessed with testicles) which is not anachronistic because it's just how Mr Bly sets up the language of his secondary world. As previously mentioned, there is no earth-shaking conflict the hero must overcome, no evil army to dispatch (though villains and creeps abound), no prophecies to fulfill. The characters really feel like just regular folks traveling through this world with their own personal goals and issues to deal with. The only drawback is that the main storyline takes a while to get going, but this a minor quibble as there is lots going on to keep the reader busy (there's even a brief zombie uprising!). Again, this stems from the fact that these are living characters in a living world that aren't "destined" to do anything. Stuff happens around them, and it takes awhile for all the plotlines to come together. It's a very neat piece of storytelling, honestly. Ravens in the Sky hooks you in from the first page and takes you on an adventure like no other. It is an engaging blend of fantasy and crime fiction with many subplots within an over-arching story. Will Bly really touches on so many elements of the human condition in such a unique and creative way. Guilt, revenge, love, regret, redemption...it's all there. It's so much more than just a fantasy novel; its a read on a deeper level. 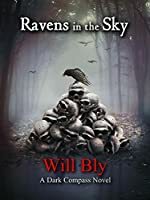 The characters are well-developed and you learn more and more abou Ravens in the Sky hooks you in from the first page and takes you on an adventure like no other. It is an engaging blend of fantasy and crime fiction with many subplots within an over-arching story. Will Bly really touches on so many elements of the human condition in such a unique and creative way. Guilt, revenge, love, regret, redemption...it's all there. It's so much more than just a fantasy novel; its a read on a deeper level. The novel opens when Irulen, a mage detective, is hired to find a murderer. (Though not usually drawn to stories about the dark arts, I do love a good mystery, so I was hooked.) The solution to that case only poses more questions, and one case leads to another. The solitary Irulen -- through no plan of his own -- begins collecting travel companions, and some of them bring troubles he hadn't anticipated: Sure, he can fight the forces of the dark, but what about those of the heart? This is an engagingly-written tale, I cared about the characters, and I could trust the author to tell a good yarn, so I was able to turn of my internal editor and enjoy the book. Nonetheless, there are several uses of cliched and/or anachronistic terms and phrases that pulled me out of the story; however, these are easily fixed in future revisions of the text. 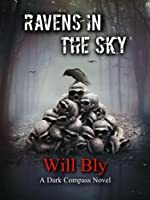 This is the first novel from author Will Bly and his talent shines through with complex characters and a creative meshing of ideas. The story connects several smaller subplots that revolve around murder mysteries. Ultimately, as Irulen resolves each specific case, he becomes entangled in a deeper, darker mystery that directly relates to the very past which continually torments him. Fortunately, he is not alone in this endeavor. There are several characters that help him deal with the brutal world he inhabits. Farah, Kay, and Quinn become his companions throughout a majority of the novel. Each character has their own inner conflict as well that meshes (and conflicts) particularly well with Irulen's own agenda. However, the most interesting character is non other than his flying companion, Max. The bird is his best friend and becomes a second set of eyes when it is most needed. Agreeable and interesting book!!! Definitely not your average fantasy/mystery read. (Reader's note #2: This book invited me into Irulen's world without wasting my time with unnecessary and excessive back-story and world-building. I don't read a lot of this kind of fantasy but have to say I really enjoyed this novel. The main character (a wizard) is a great character and the book is loaded with action and imagination. I was very impressed! Well thought out, If magic was realsitic a couple of centuries ago it would probably be in this way.